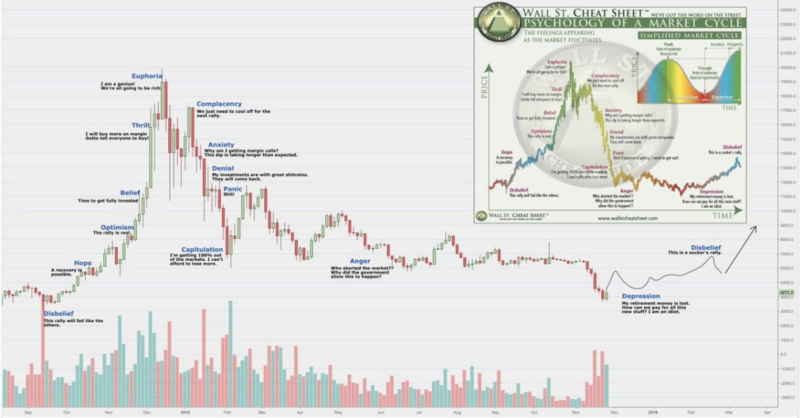 Summing up the results of 2018, it can be said with confidence that the hype surrounding the cryptocurrency market, from the peak at the end of 2017, has finally ended. That depressing picture that we now see - is the real condition of the market: many ICO projects either deceived their investors or have already spent invested money and need additional funding; many projects failed their given tasks; many projects reshape their tasks and reduce the workforce, as they lack funds to continue. All this may seem sad because many investors and enthusiasts who believed in certain projects were deceived. But let's consider this situation in more detail and from the other side. As we see, today's fall is not the most devastating. In 2011, and in the period from the end of 2013 to the beginning of 2015, the fall of Bitcoin was by 3-8% more than the current one, while the previous fall lasted more than a year. History repeats itself and it is no different from the history of trading in other assets. People wish to earn a lot of money quickly. For example, after buying a Litecoin in the late summer of 2017, you could sell it for almost 10 times as much in mid-December of the same year. That is, by investing $1000 in this coin, after 4 months you could get a profit of $9000! Not so bad, however, very few people did. At the same time, the ex-leader of the Litecoin project (Charlee Lee) published a post on December 17: “Sorry to spoil your holiday, but ... Buying LTC (Litecoin) is extremely risky. I expect a long-term bear market, which already took place earlier when LTC dropped 90% (from $ 48 to $ 4). 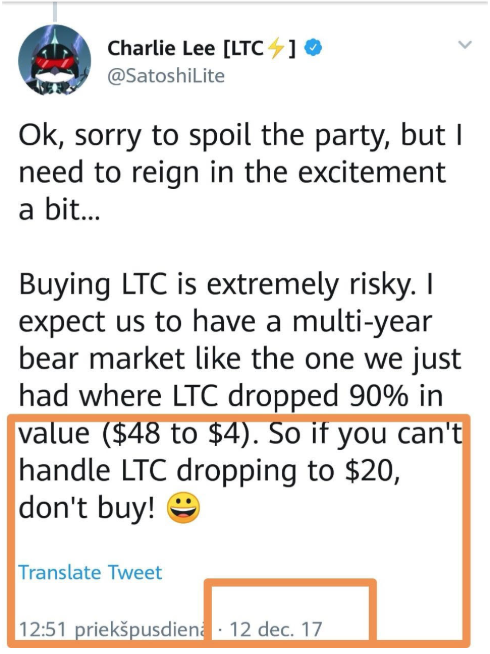 Therefore, if you are not able to handle the fall in LTC cryptocurrency to $20, do not buy!” Exactly one year has passed, and we see that the publication by Charlee Lee coincided with reality to the tune of 99%. The hype around the cryptocurrency market. Who didn’t talk about the cryptocurrency market, who didn’t advertise their ICO projects?! Tens of billions of US dollars spun around all this advertising and the promise of technological breakthroughs! For this reason, into the market came those investors who did not understand: 1. the blockchain technology, and why it is needed; 2. the strategy and risk of investing. Just check the advertising of ICO project Sirin Labs, which involved Lionel Messi - one of the best athletes of our time and one of the most popular media personalities on social networks. So far, over 100 million people have followed Lionel Messi across all social networks! At that time, the project collected 158 million US dollars. 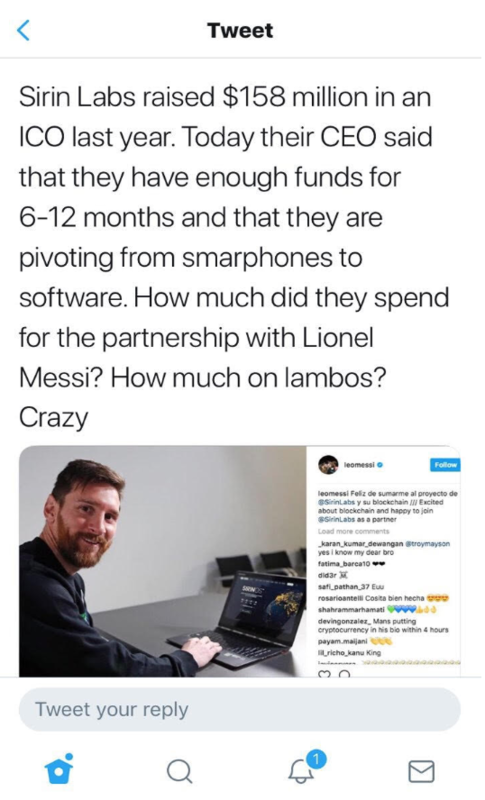 By now, the overall capitalization of Sirin Labs Token is just over $20 million. And it is unknown whether this is the limit. Those projects that already have a real use case for their technology, and already been tested by experts and specialists. Do not forget that a project in its essence should be quite unique, or at least should solve already identified problems, but in a simpler, convenient, fast and less expensive ways. As an example, the project CloakCoin and its unique development ENIGMA - a system for anonymizing cryptocurrency transactions, which has already been audited by the NASDAQ-listed cybersecurity company Cognosec. Those projects that are working in the direction of blockchain and crypto technology simplification and ease of use for users. As history shows, any technology is distributed only when it is easily, visually understandable and easy to use (for example, computers in the 1980s were not so common yet because they were difficult to understand, did not have such a simple visualization and were just uncomfortable to use). 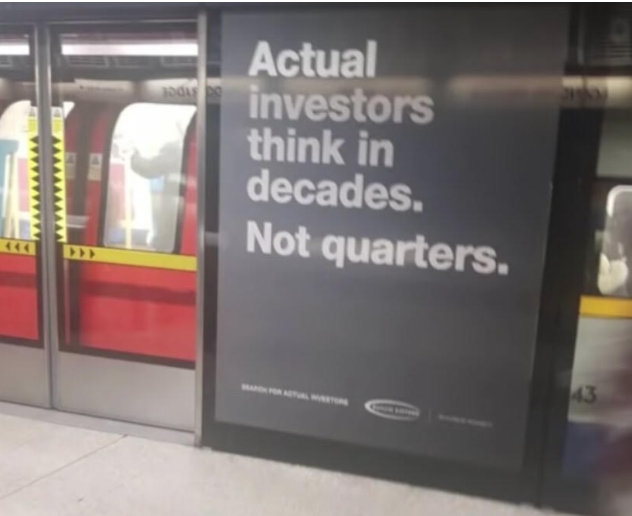 Smart investors. Investors will no longer invest in projects without having previously studied them with the help of proven and highly qualified specialists. In addition, investors will increasingly invest in the technology itself and for the long term. 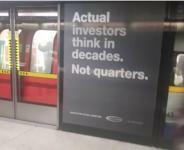 Metro advertising says: “Real investors think in decades.” This technology is in its infancy, and it will take a long time before Blockchain, Bitcoin, and cryptocurrency take a worthy place in our life as by other technologies, that we now use daily (cars, mobiles phones, computers, internet etc). It looks similar, doesn’t it?